Whether you’re a Seattle native or just visiting, you owe it to yourself to see all the city has to offer. Here are five of Seattle’s many must-see attractions. Contact Toyota of Seattle today to purchase a ride to take to these destinations. Visit Toyota of Seattle today for professional vehicle detailing services. One of the most important decisions when buying a vehicle is whether to purchase new or used. While there are advantages and disadvantages for both, it ultimately depends on your specific wants, needs and budget. If you plan on purchasing a Toyota car, truck or SUV, a Toyota Certified Used Vehicle (TCUV) might check off everything on your list of wants and needs. One of the biggest draws of any used vehicle is the lower price point. Purchasing a new vehicle means you’ll typically be paying much more than you would for a pre-owned vehicle, even if they’re the same model. Because the initial price is higher, you’ll have to pay a higher sales tax as well. Most insurance companies also increase their rates for drivers that own newer cars or trucks. A used vehicle is not only cheaper up-front, but suffers less depreciation during its lifetime. The moment you drive it off the lot, your brand new car can lose up to 20 percent of its original value. If you’re unable to put down more than 20 percent at the time of purchase, it’s possible that you’d owe a lender more than the vehicle is actually worth. Pre-owned vehicles depreciate much slower. This means you can buy a Toyota Certified used car at a better price and expect it to maintain roughly the same value for significantly longer than you would a new car or a heavily used pre-owned vehicle. 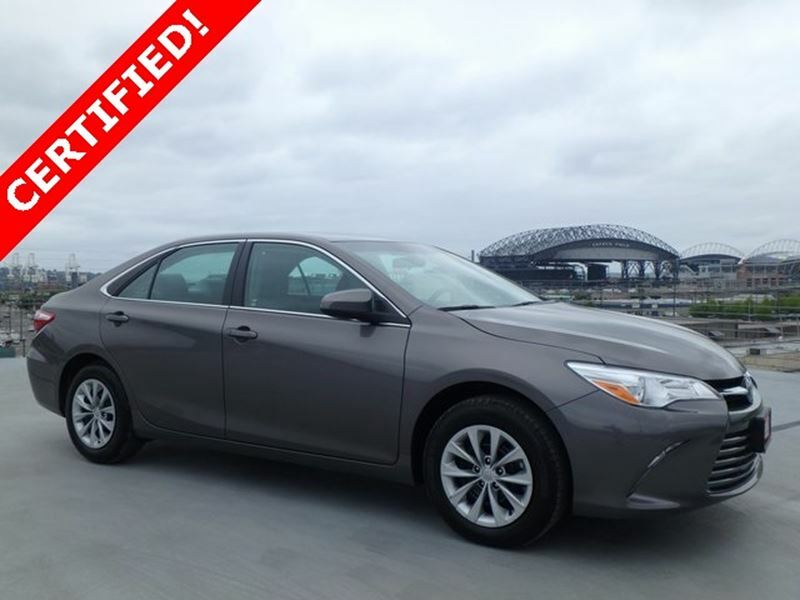 Not every car or truck meets the strict requirements necessary to be considered a Toyota Certified Used Vehicle. Toyota requires each potential TCUV to meet certain standards, ensuring you’re sold the most reliable pre-owned vehicle possible. Any qualifying vehicle must be no older than six years of age and have fewer than 85,000 miles. Toyota also requires each dealer to order a comprehensive CARFAX® Vehicle History Report™ (VHR). The vehicle can only move on to further inspection if no negative results are found. Each certified used vehicle must meet or exceed an intensive 160-point Quality Assurance Inspection. Factory-trained technicians test 160 separate points to ensure like-new feel and performance. Any issues found are repaired and reconditioned before the vehicle is officially certified. Many certified Toyota dealers even offer additional warranty packages, guaranteeing years of reliable performance and service for your new vehicle. Toyota Certified Used Vehicles are sold exclusively through participating Toyota Dealers. For TCUVs in Seattle, visit Toyota of Seattle today! Customer service is our top priority – we’re committed to making your vehicle purchase a painless and enjoyable experience. Toyota’s RAV4 crossover has been popular with consumers for more than 20 years. After a recent price drop, the best SUV just got better. With a decreased MSRP and variety of high-tech features, there’s no time like the present to see what the RAV4 has to offer. Announced and put into effect during the first week of May, Toyota’s 2017 RAV4 Crossover series has been reduced in price across nearly all of its models. Select gas-powered versions of the RAV4 have had their Manufacturer’s Suggested Retail Price (MSRP) lowered by up to five percent. Pricing remains unchanged on the Platinum model and all hybrid versions of the RAV4. MSRP does not include the price of delivery, processing and handling (DPH), which may vary depending on location. All of the latest RAV4 models offer a variety of additional equipment and safety features. Many are bundled together in convenient packages, ensuring you get the most value for your dollar. XLE “Power Plus” Extra Value Package: Includes height-adjustable power lift-gate with jam protection, Smart Key System, Blind Spot Monitor (BSM) and Rear Cross-Traffic Alert (RCTA), roof rails and an Entune™ Audio Plus dashboard system with Connected Navigation. SE Advanced Technology Package with Parking Sonar: Includes Bird’s Eye View Camera with Perimeter Scan, front and rear parking sonar and Entune™ Premium JBL® Audio with Integrated Navigation and App Suite. SE S-Code Paint Treatment: This cosmetic package includes a Silver Sky Metallic painted front and rear lower bumper, rocker panel, over-fenders and side mirrors, as well as a black rear skid plate garnish. Front and rear parking sonar safety features are included. Toyota Safety Sense P (TSS-P): Available on all models, this safety package bundles the Pre-Collision with Pedestrian Detection function, Automatic Emergency Braking, Lane Departure Alert with Steering Assist function, Automatic High Beams and Dynamic Radar Cruise Control technologies. 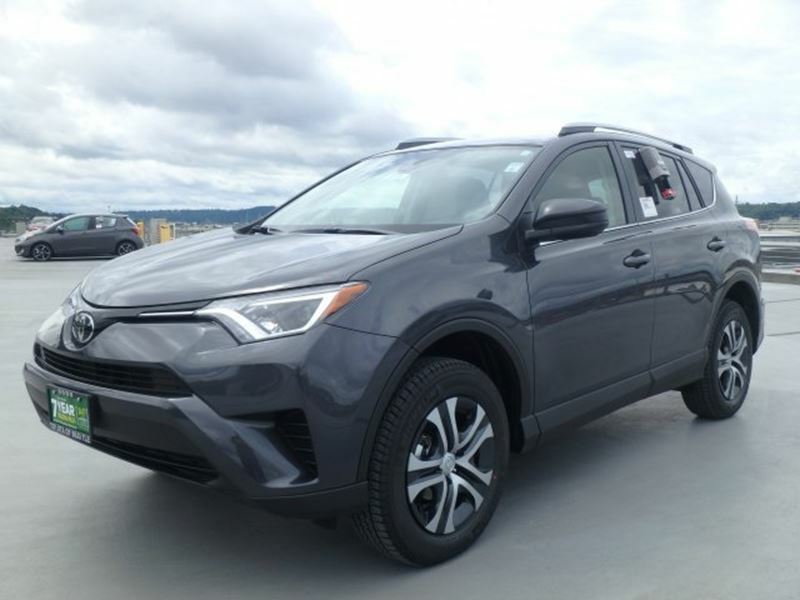 Toyota of Seattle boasts an extensive inventory of new and pre-owned cars, trucks and crossovers, including the 2017 RAV4. Our sales professionals have your best interests in mind; there’s no hidden fees or aggressive sales tactics and you’ll work with the same person from start to finish. Visit us online or stop by for a test drive today!